It’s time for Weightloss Wednesday! I am up, WAY up to 208 lbs this morning. Oh my! How did this happen? One word, Halloween. Oh my gosh, we had SO MUCH CANDY left over at the end of the night that I grabbed a piece here, a piece there. Did something on the computer, grabbed a Snickers. Threw my kettlebell around, grabbed a MIlky Way. Got ready for work, grabbed a 3 Musketeers. Here’s the crazy thing. I started to get nauseous and guess what I did? Grabbed a Whoppers. Ugh. So I’m definitely not perfect, not that any of you thought I was but this puts me behind on my new goal. I have decided to try to hit 190 by my birthday at the end of the month which means not only do I have to lose this new Halloween weight but I have to navigate Thanksgiving as well. Should be fun! But I have stayed between 200 and 210 for to long and need to renew my focus on the next stage of my weight loss. I have decided my main goal is to get me waist down to half my height and since I am 70 inches tall, that means a waist of 35″. Although maybe 36-37″ is more reasonable with all the loose skin I have but we will see. According to the tape I have on my desk, I am about 45″ around right now so I’ve got quite a journey in front of me. As for exercise, I did a short kettlebell workout last night for the first time in about 3 weeks. The neck strain I had has pretty much gone away and I need to get back on the horse with that. I downloaded a new workout video so I’m going to include a little more variety in my workouts. That’s what’s new for me. How are things going with you? Let me know in the comments below! PREVIOUS POST Previous post: Can I Eat Too Much Fat on a Ketogenic Diet? 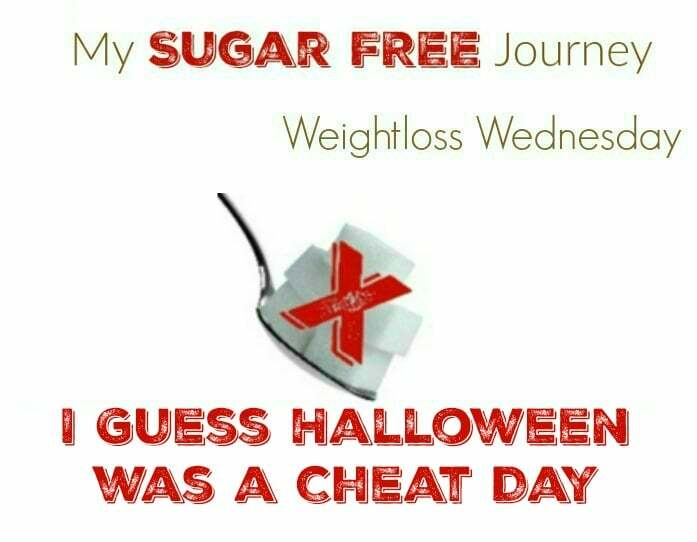 NEXT POST Next post: My Sugar FREE Journey Keto Picks!